Wasn’t the weather kind to us? Didn’t we have a great day out? 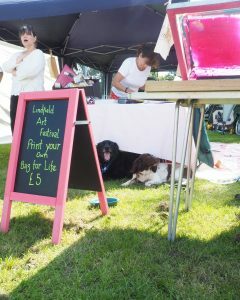 Special thanks to Tidy Print for their support in printing the Tote Bags, “It must be #LAf #LAF #LAF”. And congratulations to Maxine Tyler for winning the M&S Hamper in our fund-raising raffle. Today is Lindfield Villae Day. 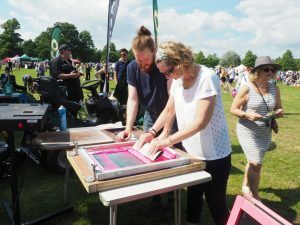 A unique village event and one that attracts all the local associations, businesses and charities to showcase to the thousands of visitors that come along and enjoy the fun. 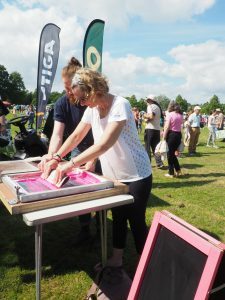 Lindfield Arts Festival stall has a £1.00 raffle for a large M&S Hamper thanks to NatWest sponsorship along with the chance to print your own #Bagforlife #LAF shopping bag courtesy of Tidy Print. Of course you can also buy a ready printed bag for jsut £5.00. 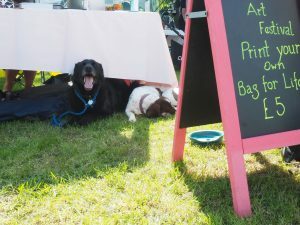 Designed by local artist and #LAF designer Sarah Reynolds these bags are jsut right be be folded away in your bag and used when shopping locally. 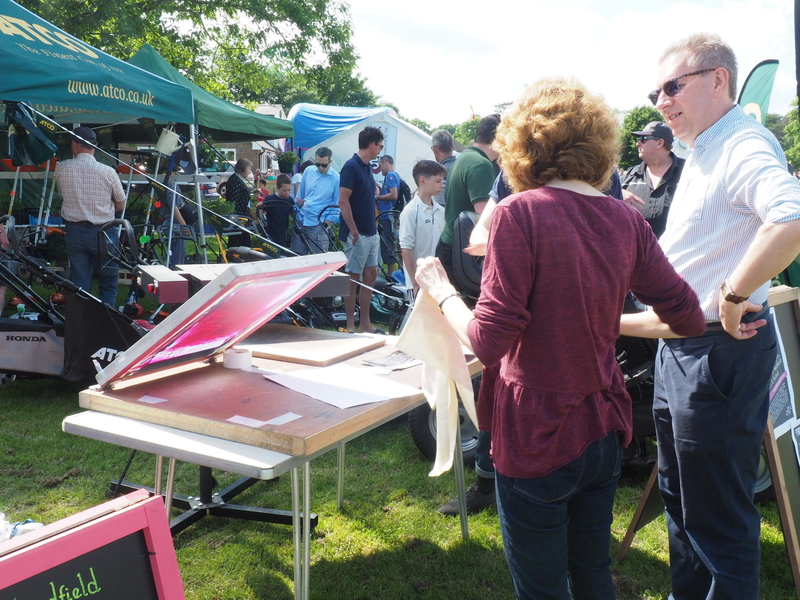 You can meet some of the #LAF2018 Team on The Common this afternoon. Hilary Knight will be there, along with Geoff Heath, Mike [Stix] Steer, Claire Fuller, Mark Searle, Julia Vokes and Esme Foster. If you see them on the Common, say hello and mention that you read this on the website! Pick up a leaflet and see how to make a scarecrow. In collaboration with Lindfield in Bloom. #LAF2018 is also looking for volunteers so be prepared to answer some taxing questions. Can you give us an hour or two on Satruday 22nd September 2018?